Mirror is an essential to any bathroom. Apart from the utility that it is known for, mirrors can even add style to your bathroom. Imagine yourself spending a fortune on designing a posh bathroom with the best bath tub, or tiles or other fixtures, and then you look for the perfect mirrors. You must have realized by now that mirrors are one of the most inexpensive ways for a modern and chic bathroom. Mirrors of right size, design and frame can brighten up this personal space of your room. We are going to tell you different types of mirrors that you can use on the walls of bathroom. This small effort will definitely change the look of your bathroom and light it up. 1. 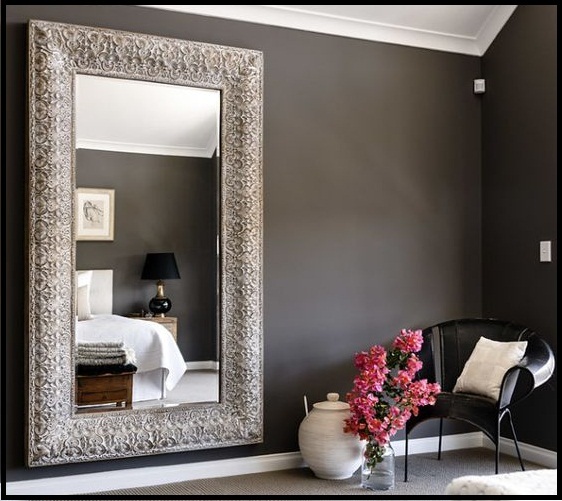 Frameless Mirrors – these mirrors look fabulous on walls that are artistically painted or have artistic wallpaper. Frameless mirrors add poise to such walls. Just make sure that the edges of frameless mirror you choose are smooth. 3. Oval Mirrors – there’s something very pleasing and attractive about oval mirrors, though they are a common sight in almost every bathroom. However, there’s no harm in being a part of the mass. 4. Shaped Mirrors – you can even purchase mirrors that have a unique shape. 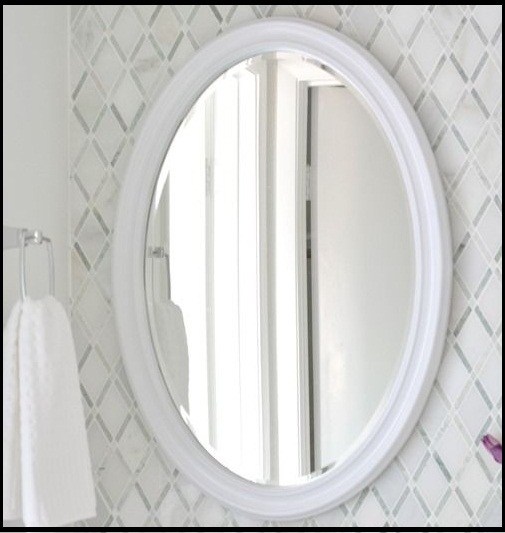 Forget the round or square or rectangle or oval shaped mirror, buy mirror that has a unique shape and see how the look and feel of your bathroom changes. 5. Tall Mirrors – you have a small bathroom or a tiny bathroom and want to make the area seem bigger. Then try hanging tall and narrow mirror right above the wash basin or sink area. This will compliment the scale of the bathroom and make it seem to be bigger. 6. 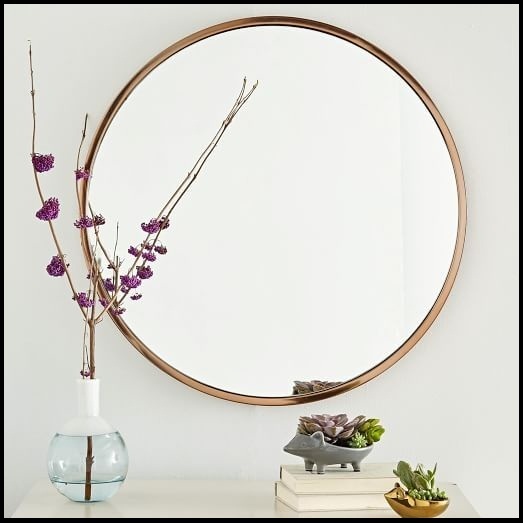 Round Mirrors – it is a fact that bathroom is full of hard edges, so why not try bringing in some softness by placing a round mirror on the wall!! Round mirror will add softness and elegance to the bathroom. 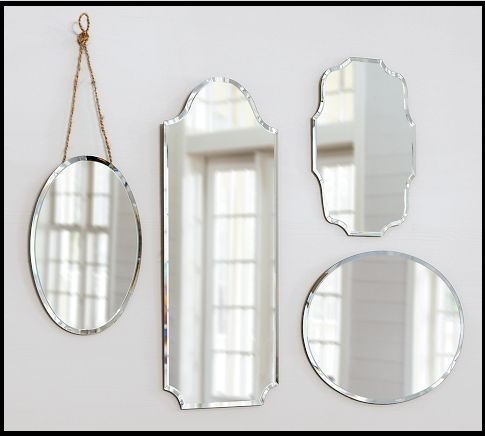 These were just a few types of mirrors we suggested today. However, in real market is filled with an array of options and you certainly will get confused looking at the varieties and abundant collection. You must have felt that a meager investment in the right mirror can have a big impact on the overall design of the bathroom. Apart from the design and shape of mirror, there are two important points you must take care of. These are – maintaining the mirror. Who wants to look at a shabby, messy and dirty mirror!! So, keeping mirror clean should be a part of your daily household chores. And lastly, make sure you have the right kind of light on the mirror for a better vision and the combination of mirror and light can make your bathroom appear spacious and vivid.